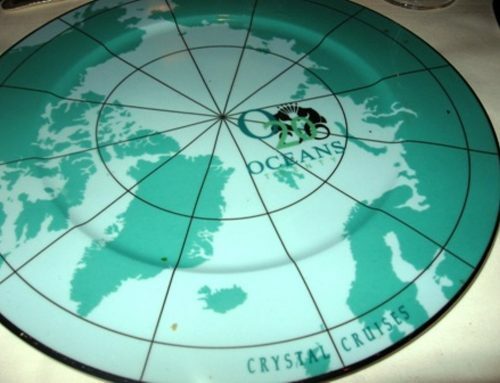 The food already tops the culinary charts on any Regent Seven Seas ship. But when the Spendor debuts next year it will tip the culinary scales. The luxury cruise line will be dishing out even more mouth watering creative cuisine. 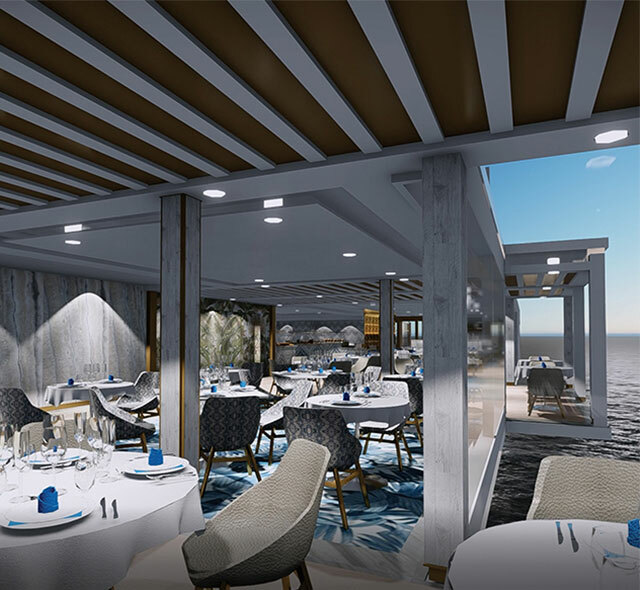 The menu at Compass Rose will offer Chateaubriand along with new dishes such as a Malaysian-style braised beef short rib. You will also find paddlefish caviar, served with smoked haddock jelly and lemon cream. And, Grilled Branzino, with Cauliflower Rice, Barley, Spinach, and Pomegranate. Pacific Rim, a dramatic specialty restaurant will dish out Pan-Asian dishes, from the new smoking presentation of Dry Ice Sashimi. Also re-imagined Duck Spring Roll and new Thai Red Chicken Curry with delicious Coconut Cream and Crispy Shallots. Sette Mari at La Veranda brings authentic Italian specialties, inspired by family recipes handed down from generations. Passengers will enjoy perfectly-paired, fine Tuscan wines with new dishes such as spice-crusted tuna steak with braised endive, polenta and Salmoriglio. Mornings at La Veranda include made-to-order omelets and other specialties For lunch, there will be a variety of delectable selections to choose from. You will also find hot carving stations. Also, a new Destination Corner will serve local cuisine based in keeping with areas sailed. Chartreuse will delight Francophile s with frog legs in garlic cream Sauce. Or tender veal rack loin with caramelized endive, grape chutney and walnut veal jus sauce. Everyone’s favorite Prime 7–an intimate and elegant steakhouse will serve perfectly-aged prime New York strip, porterhouse and filet mignon. Some new dishes include Applewood smoked salmon steak, seared diver Ssallops and cured pork belly confit. Oh yeah, there’s also my favorite, hamachi ceviche. 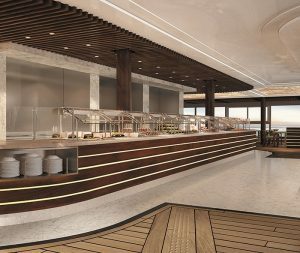 Coffee Connection only on Seven Seas Splendor will debut. Pool Grill al fresco dining–-deck dining at it’s best with regional barbecues or the freshly grilled fish of the day. You can also enjoy a perfect milkshake and old-fashioned hand-dipped ice cream desserts. Culinary Arts Kitchen–designed as a specialized facility with 18 individual cooking stations, the Culinary Arts Kitchen introduces a range of 20 new cooking classes. Gourmet Explorer Tours-exclusive to the inaugural season of Seven Seas Splendor . are one-of-a-kind epicurean adventures, personally crafted by Regent’s Executive Chef & Director of Culinary Enrichment, Kathryn Kelly. There will be a variety of optional tours that visit local markets in search of exotic spices, wine tastings and more. 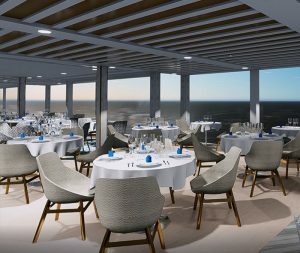 The 750-passenger, all-suite, all-balcony Seven Seas Splendor is under construction in Ancona, Italy. She will boast more than 46,000 square-feet of Italian marble. The 375 suites include nearly 52,000 square-feet of balcony space. The 4,443 square-foot Regent Suite is a knockout with in-suite spa retreat featuring a personal sauna, steam room and treatment area. It also boasts a $200,000 Hästens Vividus bed, unobstructed 270-degree views over the ship’s bow from the wraparound veranda, a personal butler and car and driver in every port. 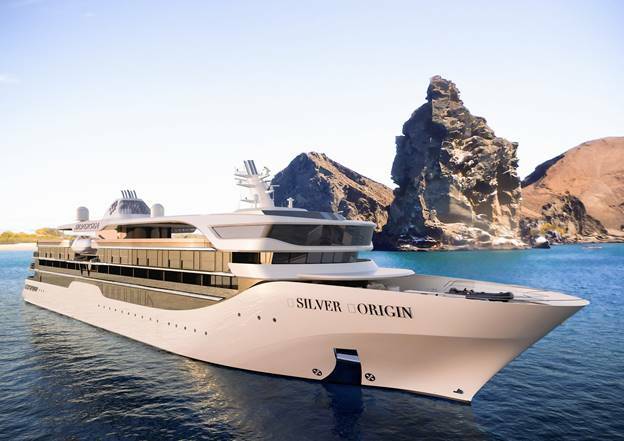 Seven Seas Splendor will be the first newly-built cruise ship to be helmed by a female captain, Captain Serena Melani with whim yours truly had the pleasure of sailing with on the Mariner in Alaska. 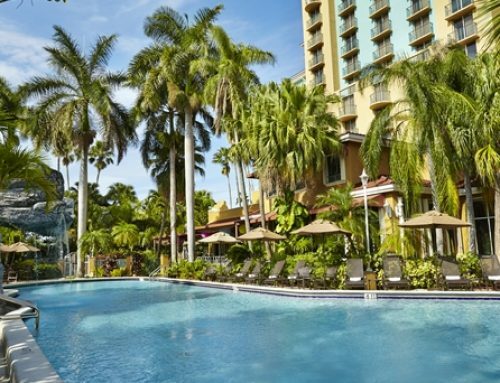 RSSC offers truly all-inclusive fares such as round-trip business-class air on intercontinental flights from U.S. and Canada, unlimited shore excursions, tips and free internet access. The food and service sets the high nautical bar found on the fleet. Want to be one of the first to book RSSC Splendor? Of course you do. Every seafarer loves inaugurals. So just call Pavlusa at 800-528-9300 or go to the homepage. Patti Pietschmann is a globetrotting free-lance writer and award-winning journalist specializing in luxury travel, cruises, spas and beauty. 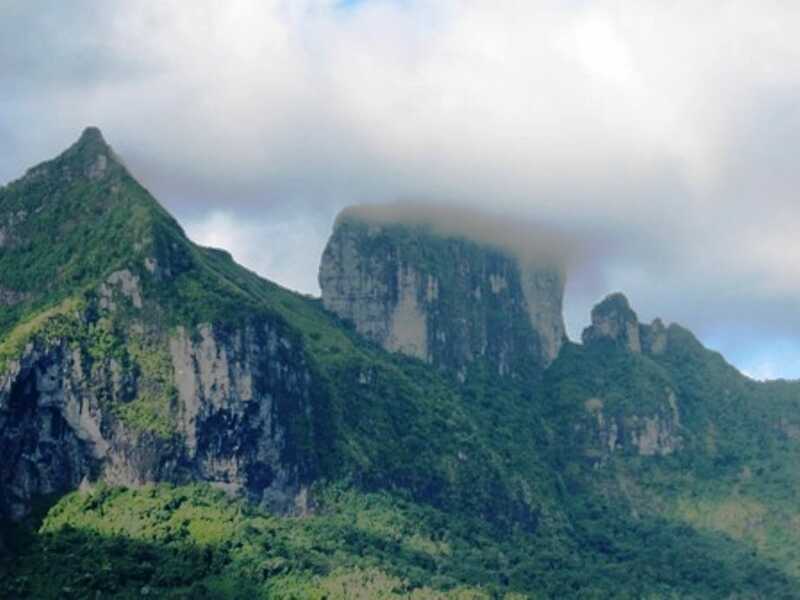 She and her husband and fellow journalist, Richard, developed a passion for cruising at a young age and have since made 400 voyages and counting. Her articles have appeared world wide and on the Internet, airline magazines, bridal publications, Departures, Diversion, Harpers Bazaar, Los Angeles, San Diego, San Francisco magazines; Cosmopolitan, major newspapers (she was Teen Editor of Newsday New York), Cruisecritic.com, Cruiseable.com, Examiner.com and guide book: ACCESS Cruise, ACCESS LA and more. 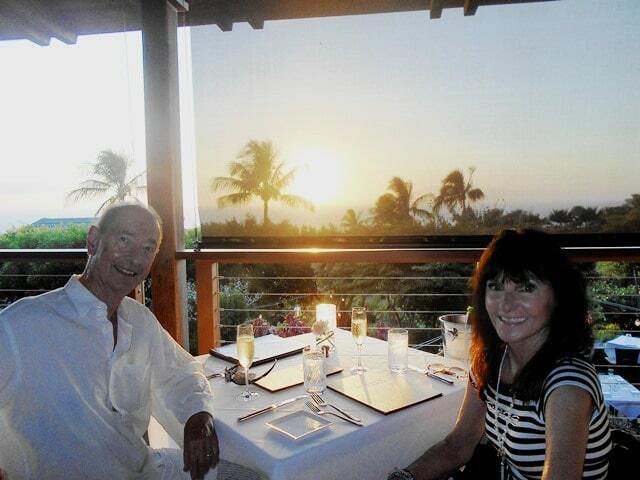 Patti and Richard live high above Hollywood when they aren’t at their part time condo in Kihei, Maui or on a ship.